Members of Bank of Bermuda Foundation, our 2015 awardees, with Pathways Executive Director Gita Blakeney Saltus (centre), director Rees Fletcher (right), Governor George Fergusson (centre back), Premier Michael and Pam Dunkley (2nd and 3rd right). Brian Duperreault and his wife Nancy were honored in 2014 for their significant contributions to substance abuse treatment. 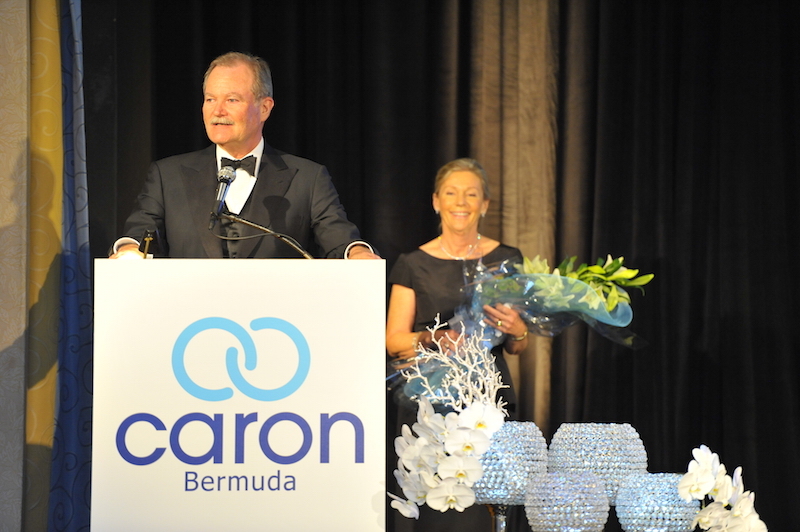 Graham Pewter, CEO, accepts the 2013 award on behalf of Catlin Bermuda for their community spirit. 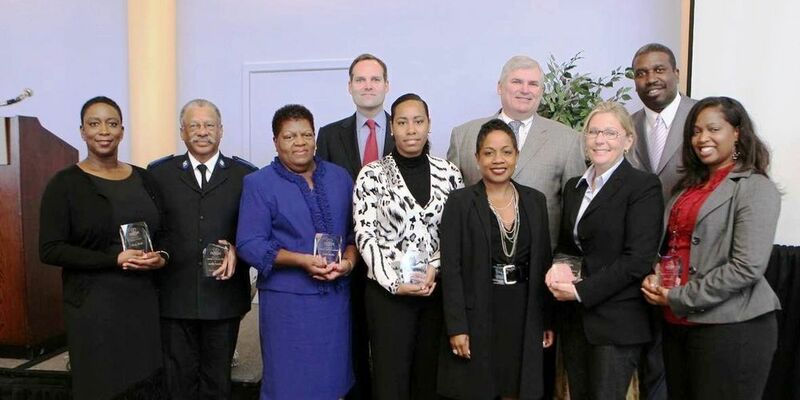 Graham Pewter of 2013 winners Catlin Bermuda with (from left) Caron Bermuda chairman Michael Schrum, Executive Director Gita Blakeney Saltus, guest speaker Laurie Dhue, Caron Bermuda Director Rees Fletcher and Joe Lauginiger of Caron. Phillip Butterfield received the award in 2012 for his support of Caron Bermuda through his role as CEO of Bank of Bermuda and HSBC. The tradition of celebrating and recognizing individuals and organizations in various realms that have demonstrated an extraordinary level of support in fighting the battle of addiction has been one of the Caron US Treatment Centers since 1997. Pathways Bermuda, formerly Caron Bermuda, has continued this tradition in Bermuda since 2009, and provides a meaningful opportunity of recognition and celebration of our community partners for their contributions in fighting the disease of addiction. This initiative continues to exceed our expectations with the participation of a diverse cross section of our community at all levels. With attendance in the realm of 180-200 persons each year, the event has honored 45 persons from 20019- 2103 and been deemed consistently to be a tremendous success.